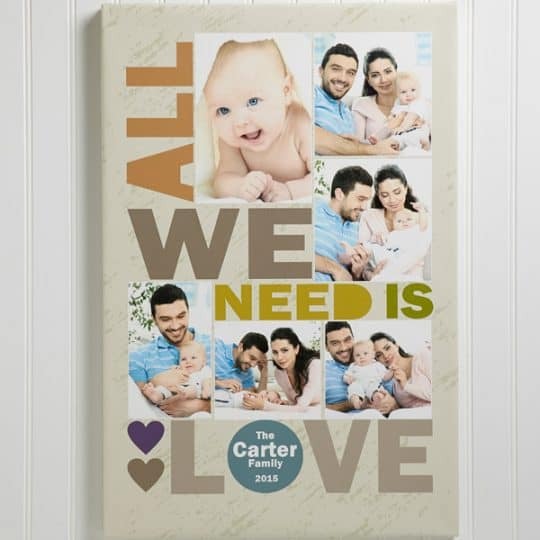 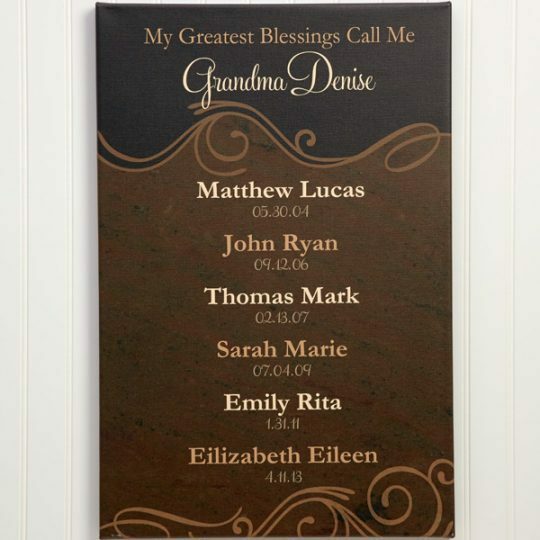 Give mom or your wife a gift that distinguishes her home as one founded in love with this handsome personalized canvas print. 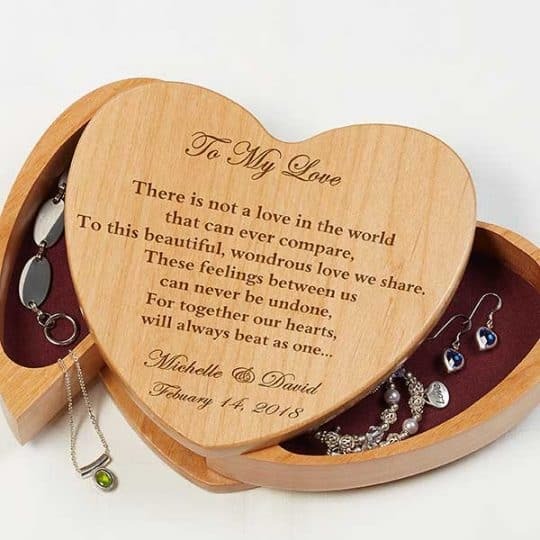 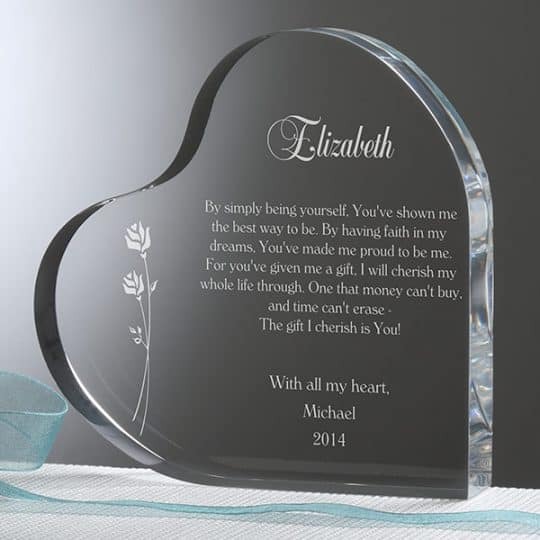 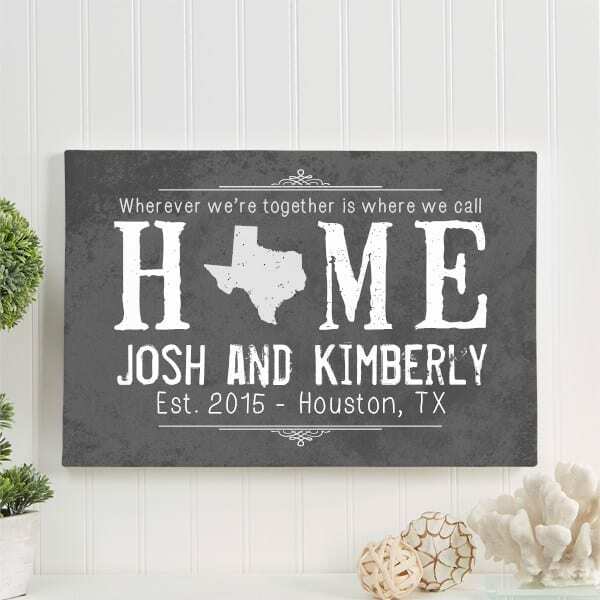 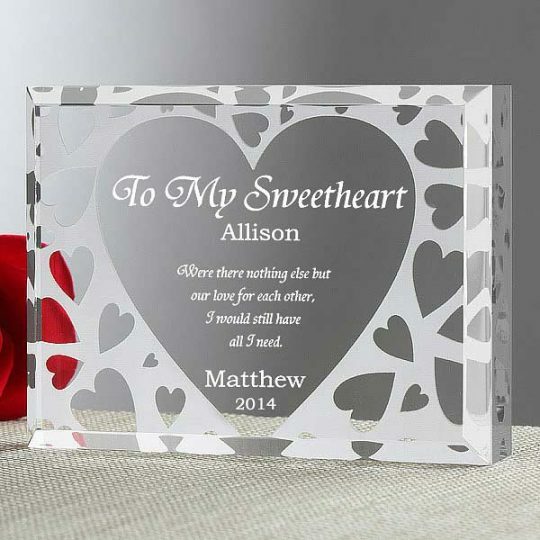 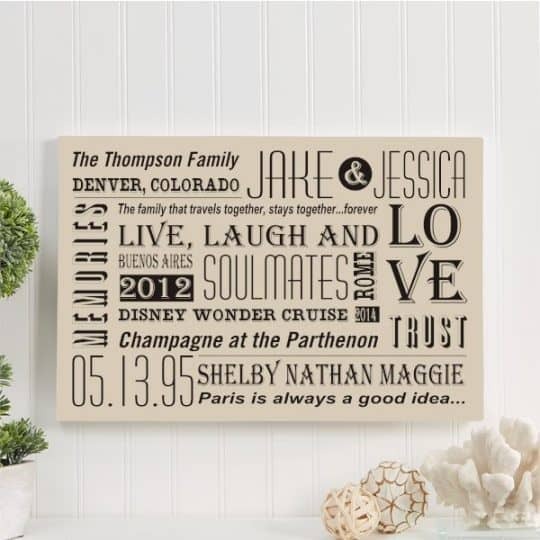 Personalized with any title and 2-line message, it highlights the word, “Home” with your state's shape incorporated into its design. 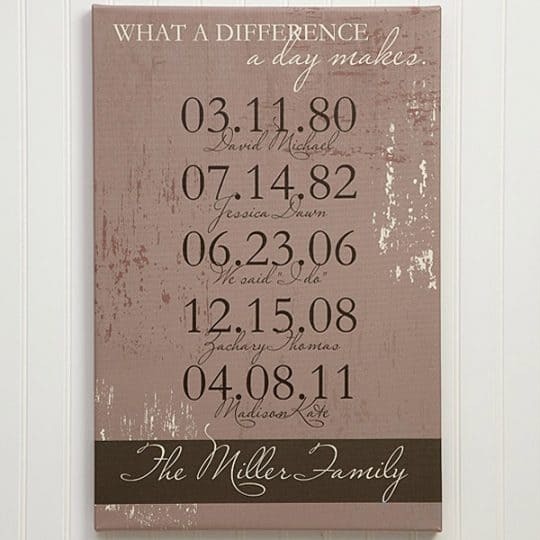 Home is already where her heart is, and this print will let everyone know it.